Ruslan Gvashev, a Circassian activist, who went on a hunger strike in protest against court decisions about his prayer at the Tulip Tree, says his health has worsened, but his protest will continue. "I'm in bed and can’t get up; I don’t eat and drink water only when my throat becomes very dry," Gvashev told the "Caucasian Knot" correspondent. Ruslan Gvashev intends to draw authorities’ attention to his case and get it examined in accordance with the law. "I decided to go on a hunger strike, when I learnt that the district deputy head had presented his explanation to the Lazarevskoe District Court, where he treated the prayer as a rally. Meanwhile, the minutes of the court session failed to present the testimony of the district policeman, who stated about the pressure from his bosses and the FSB curator," Ruslan Gvashev has explained. "They ignore me, and I can’t prove anything at court; that's why I want to prove with my death the Adygs’ right to the memory, to hold prayers at the sacred tree," Mr Gvashev has concluded. 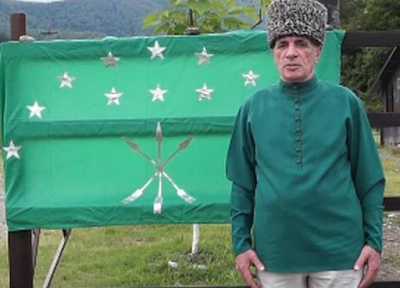 Ruslan Gvashev goes on hunger strike, Sochi court refuses to cancel fine imposed on Gvashev, Court cancels fine imposed on Circassian activist Ruslan Gvashev.